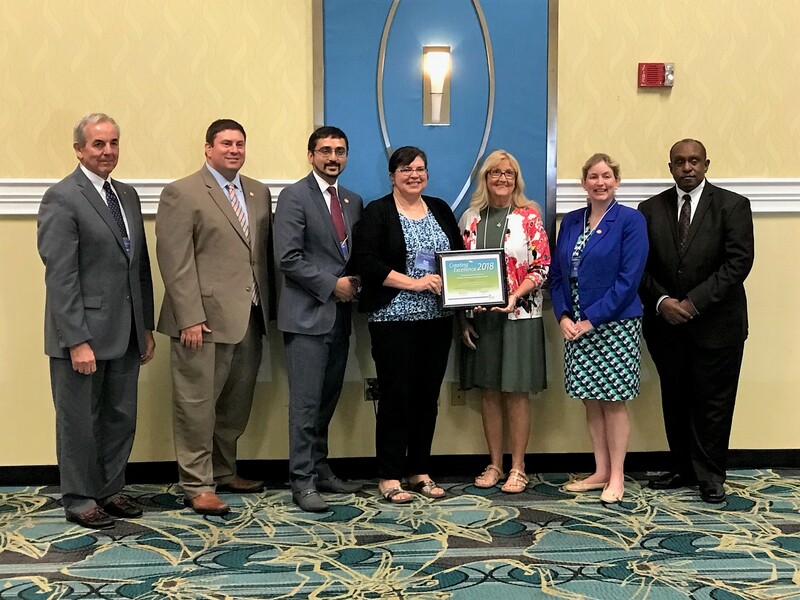 Virginia Beach City Public Schools’ (VBCPS) School of Practical Nursing Advisory Committee was honored among 16 exemplary career and technical education (CTE) programs and partnerships recognized by the Virginia Department of Education (VDOE) and the Virginia Community College System (VCCS). The CTE awards were presented during the annual Creating Excellence Awards program in Richmond June 14. The School of Practical Nursing Advisory Committee was one of four honorees in the VDOE secondary CTE category for advisory committees. The group is comprised of healthcare professionals in the region and higher education partners who provide input to ensure the program is providing nursing students with relevant experience to support their success in the healthcare field. Established in 1972, the School of Practical Nursing is consistently ranked as one of the top programs in the state and nation by the National Council of State Boards of Nursing. The 18-month program is open to high school seniors and adults, offering classes in the state-of-the-art lab at the Virginia Beach Technical and Career Education Center and onsite at area hospitals for real clinical experiences. Students have the opportunity to earn a Certified Nurse Aide certification and to become eligible to sit for the National Council Licensure Examination, which will allows graduates to be licensed as a Licensed Practical Nurse by the Virginia Board of Nursing. To learn more about the Virginia Beach School of Practical Nursing, visit the Virginia Beach Technical and Career Education website. You can also view this story on The Core, when the program was highlighted as a Compass Keeper. A complete list of Creating Excellence Award winners is available in this VDOE news release.